Friends are an important part of our lives. I’m sure we all look forward to long conversations with our close friends. We confide in them and cry over their shoulders. They are the reason we smile even in the midst of trouble. Our friends understand us better than anyone else. 2. The Fair Weather Friends – who will desert the ship when troubled times loom large. The support of this kind of friends is only for the good times. These friends are selfish. 3. The Voice of Caution – a lot like Hermione in the Potter Series. This type of friend also doubles as a guardian and conscience rolled into one, giving warning about the repercussions of certain actions the protagonist undertakes. This type of friend can put up a fight if they feel that the protagonist is acting foolish or taking unnecessary risks. 5. The Turn Coat – who doesn’t think twice before betraying the protagonist when it suits them to serve other interests that clash with the protagonist’s. 6. The Fool Hardy One – this type of friend leads the protagonist into all kinds of trouble. 8. The Dependable Ones – these friends can and will almost always help the protagonist and will stick with him or her through troubled times, through thick and thin. Hermione comes to mind when I think of this kind of a friend. 9. The Jealous Friend – this kind of friend is fiercely competitive and sees the protagonist more as a rival than a friend. 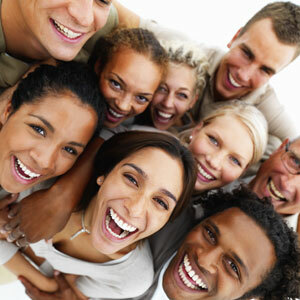 These friends are extremely prone to jealousy and may even harm in a fit of jealousy. Labels: Friends. Potter. Hermione. Ron. Protagonist. I have always been fond of reading books. As a child, in my holidays, I would sit up till late in the night reading my Nancy Drews, Hardy Boys and Enid Blytons. This habit accompanied me in my adult life. However busy I am, you will always find me with a book: at the airport, in the hospital, in the doctor’s clinic, at railway stations and everywhere else. I just cannot believe it when people tell me that they don’t read. Infact, I am shocked when I hear this statement. This week I was super busy to come up with a post. 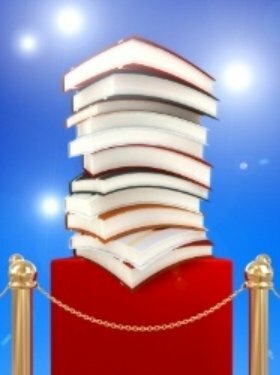 So, I thought I will take a shortcut and share my reading list with you. Books I have read this month and books I will be reading in the next few days. What are you reading this month? What are the books on your TBR list? 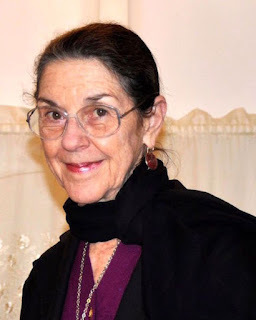 Today, I have an interview with Author Elizabeth Varadan. Elizabeth has written a Middle Grade mystery ‘Imogene and the Case of the Missing Pearls.’ After I had read and reviewed Elizabeth’s previous book ‘The Fourth Wish’ I had become a huge fan of her writing. Her latest book didn’t disappoint. A. I’ve loved to read and write from an early age, but I only had time to write full time once I took early retirement from teaching. 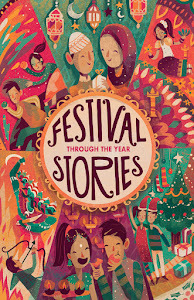 All through college and teaching, I scribbled mainly short stories for adults. But after teaching eight-to-twelve-year-olds for several years, that age range seemed imbedded in my mind, and I started writing middle grade fiction. Q. 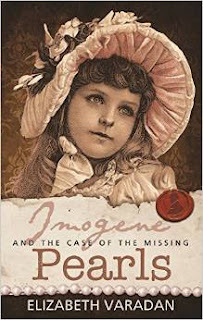 What was the inspiration behind Imogene and the case of the Missing Pearls? A. I’ve loved mysteries since I was a kid. When I was ten (and an avid Nancy Drew fan) I had a favorite fantasy of being a detective named Imogene and even started a detective club with friends. So, when I decided to write this story, the sleuth was ten, and named Imogene. I wanted Sherlock to be in the story, so it had to happen in Victorian London. And because Victorian girls couldn’t go out on their own, the mystery had to happen at home. Thus, her mother’s pearls were stolen, but by whom? Q. What made you incorporate Sherlock Holmes into the story? Q. 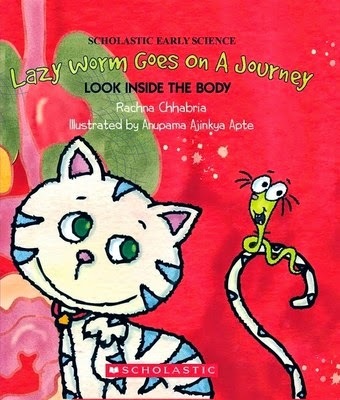 How did you go about doing research for this book? A. It helps that I love research. I started out googling historical sites on the Internet, and then started writing agencies on an “as needed” basis. By the time I was well into it, I was writing letters to museum departments, shipping companies, railroad companies (for timetables in a certain year, and that sort of thing). I read more fiction and nonfiction set in the Victorian era to get a feel for the language, as well as the logistics and place names of the day, and then I looked at their bibliographies to get more sources. I have quite a library of my own, now, for future books, and a nice network of consultants, I’m happy to say. A. Panster. I usually start out with a character that grabs me, and a problem, and I work from there. Sometimes I do have an end in mind, but that usually changes once the story is underway. About halfway through, I start “mini-plotting”, figuring out what needs to happen for something else to happen. But I have never successfully started with a plot in advance. I did plot two books once, and they are still in my filing cabinet, unwritten, because the thrill was gone. A finished plot left me feeling the book was finished. Irrational, I know, but that seems to be the way my psyche works. Q. Any chance of turning this into a series? Q. Any tips for writing a mystery? A. Be flexible, and don’t get too attached to your original plan. The person you thought “dunnit” might not be the culprit after all. It also pays to read mysteries that grab you, because that’s the best way to learn what works. I do have several books on writing mysteries that I have found helpful, but one thing I notice is that they don’t all have the same approach, which is strangely encouraging. A. I’m in the rewrite of a “cozy” mystery for adults. And, as I said, I have sketches for two more Imogene books. I also have a historical YA involving a ghost that I’ve been working on for about ten years. Some books are like that. Between other books, I pick it up and work on it some more. It’s coming along, although I hope it doesn’t take another ten years. Thank you Elizabeth for agreeing to do the Interview. We all wish you loads of luck with your latest book. Labels: Elizabeth Varadan. Imogene and the Case of the Missing Pearls. The Fourth Wish. Victorian Scribbles. We writers would be lost without our muses (Inspiration). We put up with all their tantrums, their erratic behaviour of dropping in at the most inopportune times, their mood swings and sometimes their flirty behaviour. All for the sake of getting our stories written. Just imagine if one day our muses would go away on a long holiday, without a warning. I am sure that would be a nightmare situation for all of us. I thought I would do a fun post today. I have no idea why, but I have always considered my muse to be a guy. I have given my muse a name, an image and a personality. Today, I will introduce you all to me muse. If my muse were to emerge from the depths of my imagination, he would look like the accompanying picture and embrace all these qualities. Body Type : Athletic with a six pack abs. Nature : Calm, Supportive and Generous. Hobbies : Reading, Plays a musical instrument and loves sports (not just watching it on T.V but actually getting all sweaty). Hope you all enjoyed meeting my muse. Now be good and introduce me to all your muses. Go wild, Go Crazy. Remember to give your muses a name and a body type and hobbies etc. Picture Courtesy – As I could not find a suitable picture to go with my imagination, I have taken Bollywood Hearththrob Hrithik Roshan’s picture from one of the online sites, as he came closest to matching my imagination. It’s time for the seventh IWSG of the year. The year sure has picked up speed and is flying past swiftly. 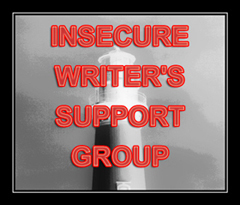 IWSG (Insecure Writers Support Group) is an online group of writers that posts on the first Wednesday of every month. This amazing and awesome group was started by the adorable Alex Cavanaugh – Author of Amazon bestsellers: CassaStar, CassaStorm, CassaFire and Dragon of the Stars. In blogoland Alex is known as Ninja Captain. I have decided to give Alex another name- Super A (as it’s my birthday month, I know he will forgive me). IWSG is a cool place to hangout online for writers. We can talk of our writing worries, fears, doubts, insecurities and anxieties and help, support, advice and encourage each other. Check the IWSG website for awesome writing tips. 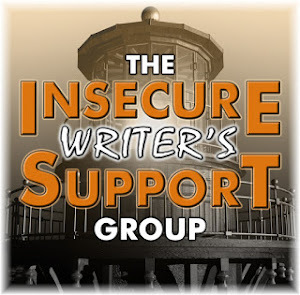 For this month’s IWSG (Insecure Writers Support Group) post I was unable to choose my Insecurity because currently there are two insecurities fighting with each other to occupy my mind space. Yes, my insecurities not just trouble me, they even trouble each other. My first insecurity is lack of time for the first 10 days of this month. I have family obligations to fulfil, so I know that my writing will definitely take a backseat during these ten days. But, the main insecurity this month is that I am unable to say goodbye to an old manuscript. This particular story was very close to my heart. I made the mistake of querying too fast for it. Many of the agents I queried for this manuscript asked me to send another MS and a few asked me to keep them in mind when I queried another book. Though I have gone on to write a few more books after that particular MS, I often revert to it and try to make it better in whichever way I can. I know that as a writer I shouldn’t linger on any one particular book and should write as many as I can. But, I just am not able to say goodbye to that particular story. I tweaked it last week for the hundredth time. Sometimes, I feel I am wasting my time polishing a story that has no takers. But, honestly I am helpless. There is a strange attraction to it. I would love to know if this has happened to you all. Has a particular manuscript refused to let go of you? 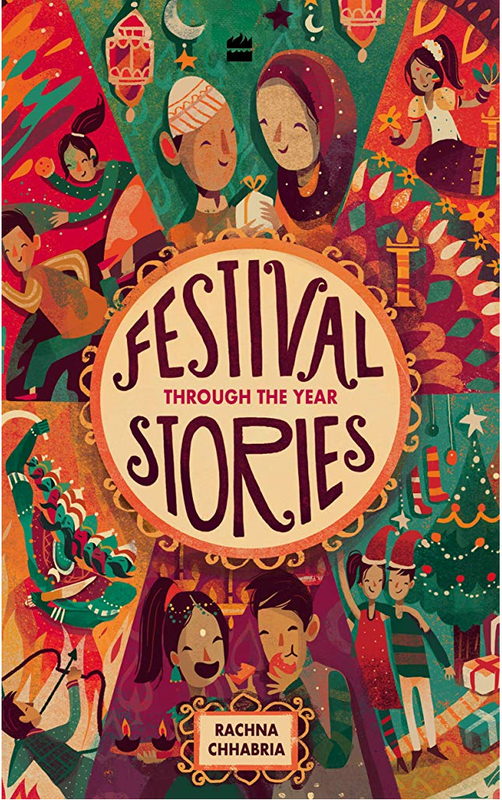 Have you clung on to a particular story inspite of having moved on to other stories? Deep down do you harbour a wee bit of hope that the particular manuscript will finally get published?